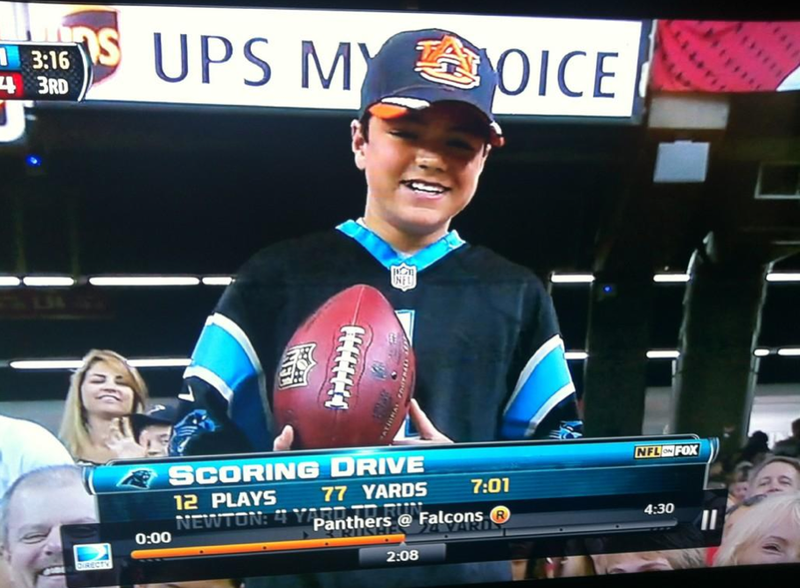 It’s no Christmas miracle, but Cam Newton seems to have once again singled-out a young Auburn fan on which to bestow a blessing during today’s game against the Atlanta Falcons. The kingdom of Cam belongs to such as these. Per the OA-News’ Ryan Wood, going into the fourth quarter the Blessed Individual was responsible for 209 of Panthers’ 286 yards, and two of their three touchdowns. Top photo via @RPKII, middle photos via @JonathanSutton, bottom photo via @KennySmith. h/t @AubOrange, @AUGoldMine. 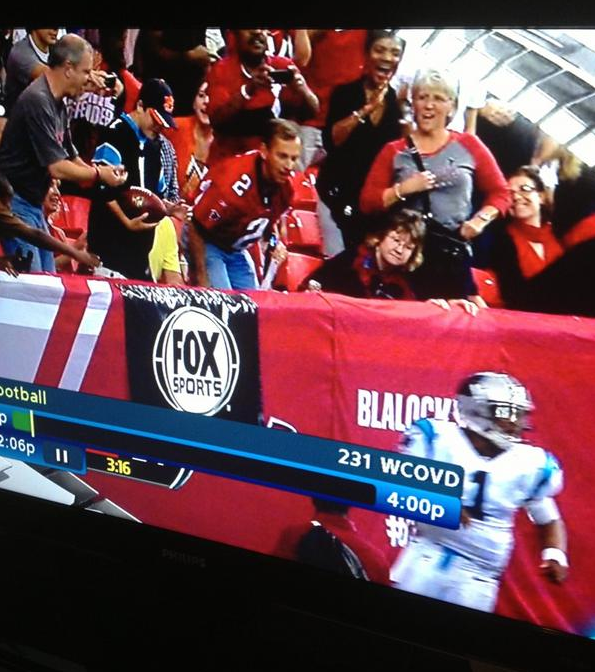 I like the dude in the #2 Falcon’s jersey in the top picture. 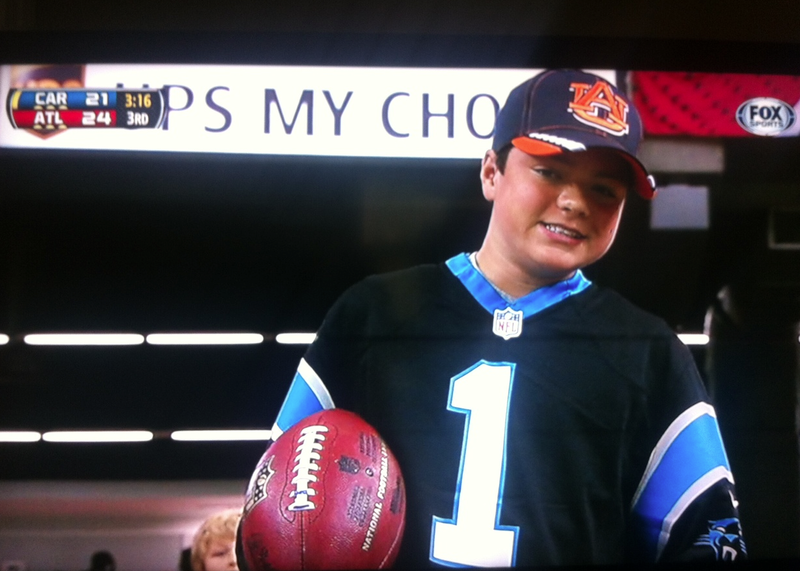 He looks like he is still pissed about the 2010 UGA game. I was there, but I missed that part. It was a heartbreaker, but Cam looked good. Julio did not, so there’s that.